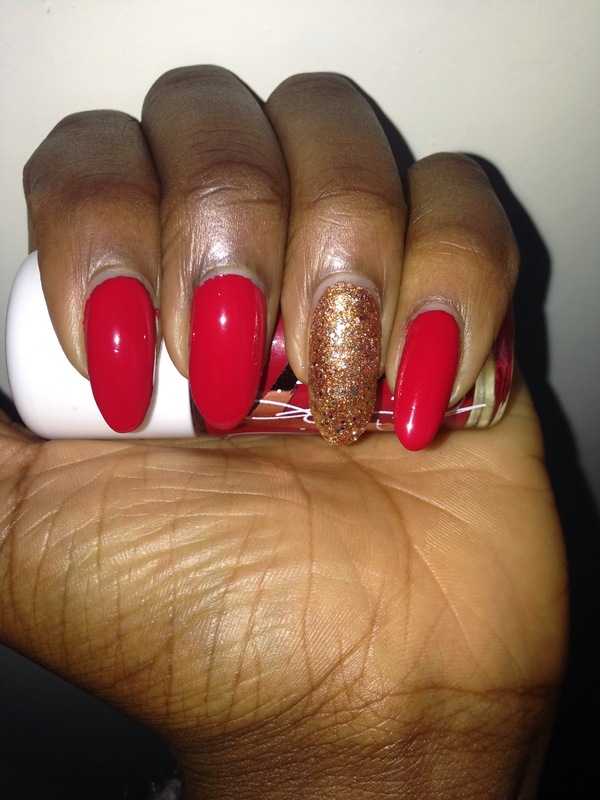 It nearly slipped my mind to update my nail paint of the week posts so before I change the colour of my nails, here is the nail varnish colour I was rocking the days leading to christmas. 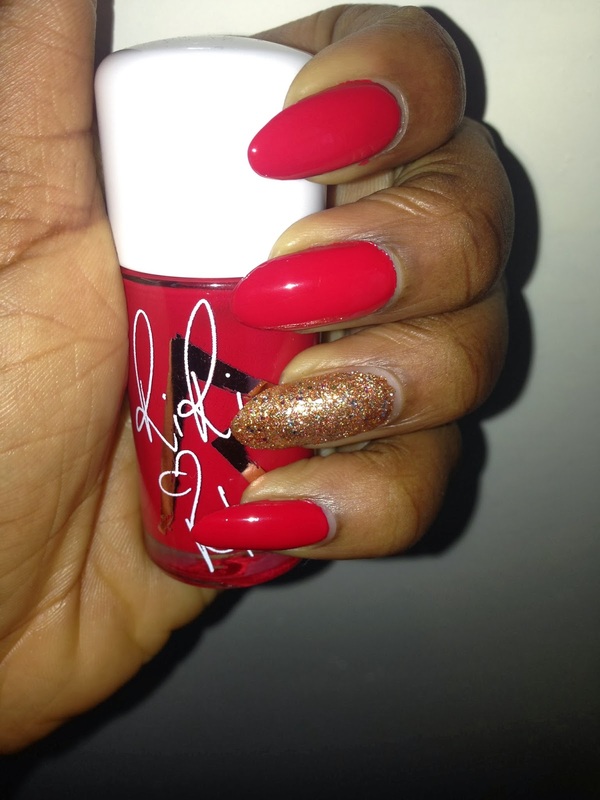 Red is an obvious colour to go for during the christmas period and given that I had recently gotten Riri Woo nail varnish from the Riri hearts MAC Holiday collection, it was my first choice of red nail varnish to go for. This is what I had on this week and what I will have on for a few more hours before I change them to match my lipstick colour for a night out with my girls tomorrow. Yes I like to match my nails to my lipstick sometimes, even if it's just for one outfit, there's some kind of pleasure I get out of doing that. I did cheat a bit this week, I didn't have the energy (you can call it laziness) to do anything creative so I kept the glittery disco dolls nail varnish on my ring finger and simply changed what was blue nail varnish from the previous week to red and I ended up with this week nail paint!